The hilaal for Shabaan was not sighted on Monday evening. Therefore, the 1st Shabaan 1439 will correspond to Wednesday, 18 April 2018. 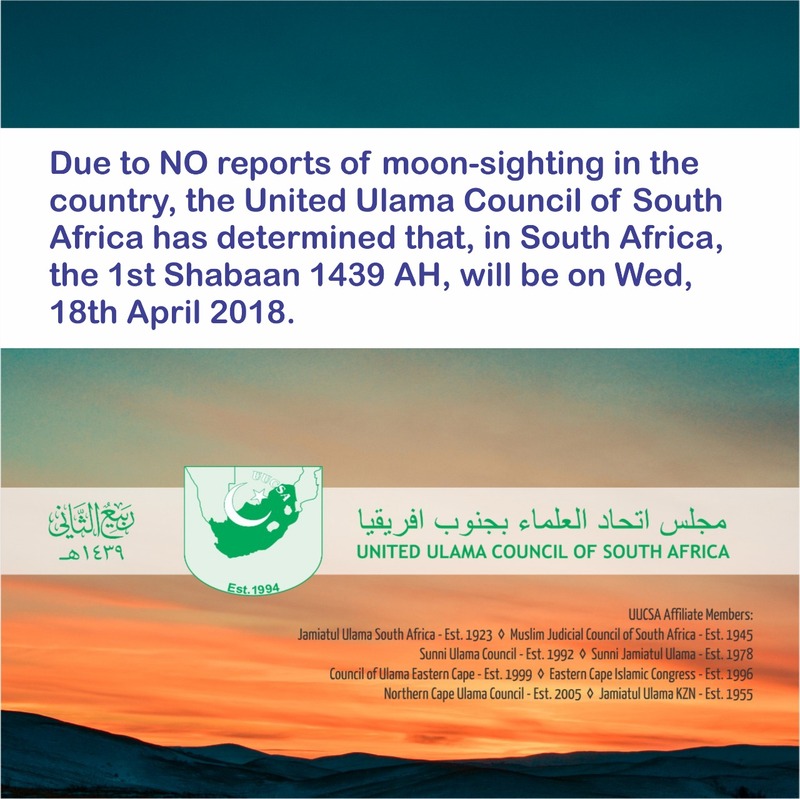 Ulema and community representatives converged at Sea Point in Cape Town to practice on the sunnah of sighting the moon for the month of Sha’baan. The Cresent Observers Society of South Africa (maankaikers) shared their experience and gave a practical demonstration on how the moon is sighted. with the representation of Ulema and community bodies this evening, ” said Moulana Abdul Khaliq Allie, Deputy President of the MJC.